The CONCACAF region has one rivalry above all others, and that is between it's two major powers in Mexico and the United States of America. The two bordering nations share a complicated and somewhat contentious history, with several major armed conflicts between the two countries in the 1800's, often stemming from territorial disputes, to go along with political and economic differences, and the continual issues between the two over immigration. On the football pitch, the two countries first faced each other on May 24, 1934 in the unlikely venue of the Stadio Nazionale in Rome. 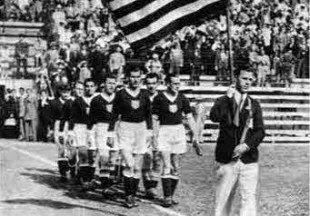 The match was a final qualifier for the 1934 World Cup in Italy and saw the Americans emerge as 4-2 winners. This win, which propelled the US into that years tournament, did not provide an accurate picture of what was to come though as Mexico took a stranglehold on the fixture and did not taste defeat to the US for another 46 years. This period of Mexican dominance encompassed several heavy beatings of American sides that were largely made up of amateurs, including a pair of 7-2 and 7-3 defeats in 1937. With Mexico due to climate and altitude always being a tough place to play, and with many matches between the sides in America taking place in cities with large Mexican-American populations, the US often found themselves up against it even within their own borders. 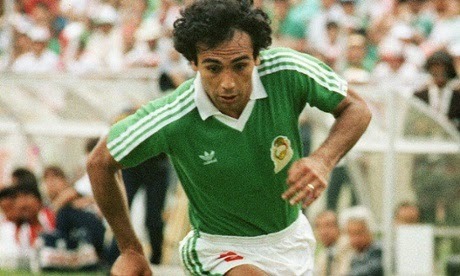 Football or soccer as it's more commonly called in America wasn't ingrained in the culture like it was in Mexico. One of the key differences between the sides was the strong domestic league in Mexico which contrasted sharply with the lack of such a structure in the United States. Throughout the 20th Century several attempts were made to launch and sustain a successful professional soccer league in America, but all attempts eventually floundered. In a country like the United States, with already well established baseball, basketball and American football leagues in place, many questioned if there was a market for professional soccer at all. The US National sides were largely picked from College players and amateurs that were no match for the much stronger teams Mexico were able to field. Although the North American Soccer League, NASL, had enjoyed a brief period of popularity in the 1970's and early 1980's, it didn't quite produce the number or quality of domestic players America would need to challenge Mexico's dominance in the region. Things began to change though with the birth of Major League Soccer, the MLS, in 1994. 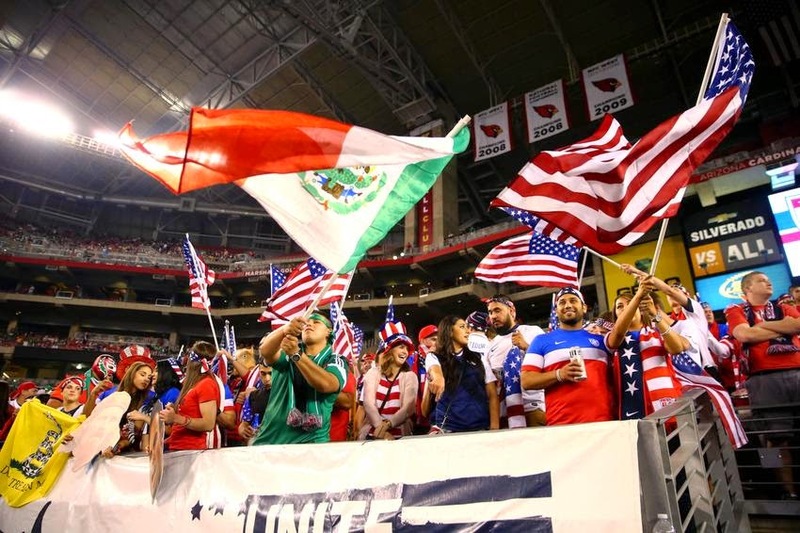 In the last twenty years America has slowly began to turn the tide in their rivalry with Mexico as more American's were given the opportunity to play professional soccer on their own soil and bolster the ranks of the national side. 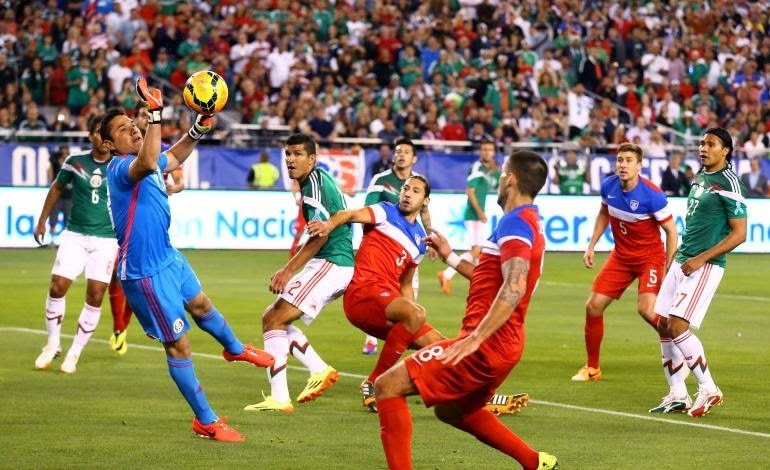 With the emergence of the US side as a stronger force in the region, particularly following the United States 2-0 victory over Mexico in the 2002 World Cup Round of 16, a real intensity has been sparked between the two sides and there have been a few controversial incidents in recent years. Prior to an Olympic Qualifying match in Guadalajara in 2004, Landon Donovan of the US was accused by the Mexican press of urinating on the local stadium's pitch during training. The angry Mexican crowd at the match following this incident chanted, "Osama, Osama, Osama", at the US players in reference to Osama bin Laden and the attacks of 9/11. There was also an incident in 2009, when Mexico's assistant coach Paco Ramirez slapped the US's Frankie Hejduk in the tunnel after a match. Despite the rivalry though, most matches between the sides do pass without major incidents between players and fans. Although Mexico still holds a huge advantage in their head to head record against the US, with 33 wins, 14 draws and 18 losses, America is gaining on them and holds an impressive 9 wins, 3 draws and 2 losses on home soil since 1999. The US even finally managed to win a match in Mexico, with a 1-0 win at the Azteca in 2012, their first in over 75 years of play south of the border. Besides the rivalry between the two national sides, there's also a healthy rivalry between Mexico's terrific domestic league and the MLS now, with their club's frequently doing battle in the CONCACAF Champions League. The Mexican sides have a stranglehold on that competition at the moment, and that's something the tops sides in MLS would like to topple. 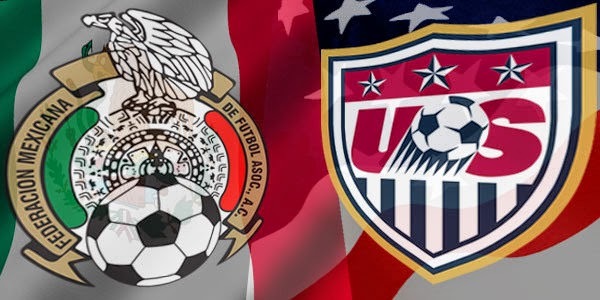 With the impressive performances of both National sides in the group stages at the World Cup, the strong love of the game in Mexico and the growth of soccer in the United States, this is a rivalry that will only get better and better in the coming years.